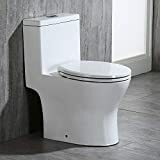 There are a lot of toilet options out there, and whether you need electronic toilet seats or low water usage loos, there is one out there for your bathroom. 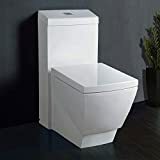 Renovating or building is stressful enough without the added worry of sifting through hundreds of reviews to find the perfect toilet. Deciding, just got easier! To help you search and compare all the options available to you, we have put together this Shopping Guide. One-piece Toilets: One-piece toilets are easier to clean than other toilets. They can also be wall-hung which takes up a lot less space and are very fashionable. Portable Toilets: Portable toilets are what you need if there is no access to water or plumbing. 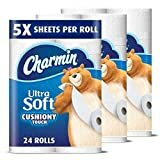 Take them along on a camping trip or use them at home while remodeling, for maximum convenience. Two-piece Toilets: These are toilets where the bowl and the tank are bolted together. They often include features like Sanitary Bars, which block liquid from collecting under the tank. 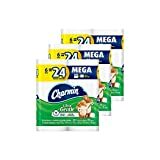 These are great value for money toilets and suit any new bathroom. Elongated Bowls: These are longer than round bowls, usually by about 2 inches, and offer more comfort. Round Bowls: These are very cost effective bowls, and fit exceptionally well into small bathroom spaces. Pressure-Assisted Flush Systems: This system works with pressurized air that forces water into the bowl when flushed and is king when it comes to preventing clogs. Gravity-Flush Systems: This is the most common and simplest system and uses the water weight to create flushing pressure. A toilet with this flushing system is quieter and requires a lot less maintenance, saving you work after the renovation, and money too! Dual Flush: This system is designed to conserve water, offering full and a partial flush options to help stop the wastage of unnecessary water. 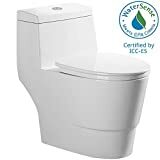 If you are looking to cut down on long term running costs and prevent water wastage, this is the perfect toilet for your new bathroom. 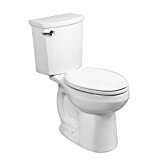 Flushing power: People who are happy with their purchased toilets rate the flushing power of their toilets high. Flushing power is an important factor when you want to prevent double flushing, which wastes a lot of water, or when trying to prevent cleaning maintenance. Quiet: Some toilets are quieter than others. Having a quieter toilet may be better for you! 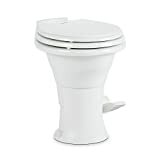 If it's in an en-suite bathroom or near a bedroom or home office that could disturb others, a quieter toilet is ideal. People who have bathrooms far away from quiet areas don’t mind the noise. It all depends on what is right for you. Installation: If you are remodeling your bathroom yourself, you have many things to consider. Your toilet installation should not be one of them! Finding a toilet that is easy to install improved people’s DIY experiences and ensures great satisfaction. Water usage: Water usage is not just an environmental issue but affects your pocket! People value their water saving dual flush toilets or low water consumption toilets and these are important features to consider with your purchase. A lot of toilets exclude installation parts such as toilet seats, wax rings with sleeves, closet bolts and bolt caps. Always check what parts are included when deciding on a toilet to make sure which extras you need to buy before installation. 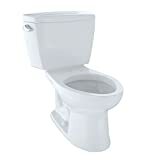 Toilet seats are more often than not, excluded in the purchase of your toilet. Choosing a seat depends on the shape of your bowl and the type of material you prefer. Some toilet seats even include a slow-close feature, (which prevents slamming of the seat), heated surfacing, warm air drying or deodorizers. The height of the toilet is very important if you are concerned about comfort. 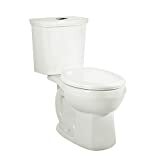 Make sure your toilets meet the ADA standards and are between 17 and 19 inches tall for comfortable adult use. However for children, going for a shorter toilet would be far more comfortable. Choosing a toilet has a lot to do with how much space you have. Measure the area in the bathroom where the toilet will be installed to ensure the toilet you are buying will fit properly and look good in your new bathroom. If you are concerned about water consumption, look for the WaterSense® label when buying your new toilet. Toilets rated by the Environmental Protection Agency are rated higher when it comes to the effectiveness of flushing and generally use 20% less water. 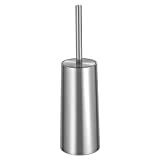 Other sanitary ware features to consider for your bathroom are urinals (which are very water efficient) and bidets. Bidets are sometimes an included feature of your toilet unit. Think low maintenance! 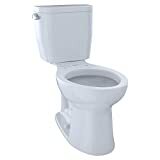 Buying a toilet with a larger trapway ( the tubing on the side of the toilet where water flows) will help reduce overflow or possible clogging. If you want the ultimate in convenience and cleanliness, upmarket toilets offer touch-free technology from automatic flushing to seats that close themselves. Toto: The founder, Kazuchika Okura, had a vision in 1912, before the concept of public sewage systems was widespread in Japan. After seeing more advanced systems overseas, he was moved to establish the first Toto ceramic sanitary ware laboratory to develop healthier and cleaner living spaces. American Standard: American Standard Brands was formed in February, 2008 from the merger of 3 companies: American Standard Americas, Crane Plumbing, and Eljer and are known for quality bathroom products. Kohler: Kohler was founded by John Michael Kohler, an Austrian immigrant, a businessman and a visionary. In 1873 he purchased a foundry in rural Wisconsin that produced a variety of cast-iron and steel products and the company has grown into quality bathroom manufacturer.